I have been focusing on the problem of high e-discovery costs since 2006. At that time I phased out my general trial practice and devoted all of my professional time to electronic discovery law. I focused on the expenses associated with those legal services because it was obvious in 2006 that unpredictable, high e-discovery costs were a core problem in civil litigation. They still are. Uncertain costs keep many attorneys away from e-discovery, even though nearly all original records and documents are electronic, and have been for many years. The most expensive part of e-discovery is the document search and review process. 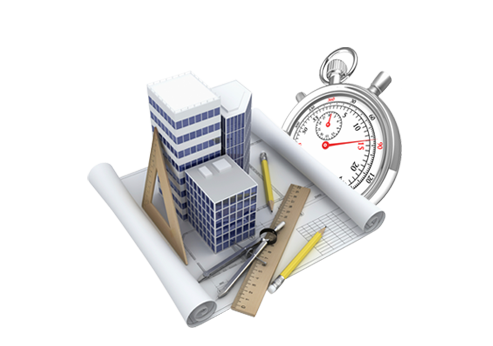 In most projects it constitutes between 60% to 80% of the total cost. See Where The Money Goes: Understanding Litigant Expenditures for Producing Electronic Discovery (corporate survey found an average of 73%). For that reason, although I practice in all areas of electronic discovery law, my efforts to control costs have focused on document review. Search for and identification of the likely responsive or relevant documents. (For convenience and simplicity purposes this paper will refer only to relevance henceforth, and not responsiveness, although the author recognizes there can be differences.) This is a binary decision, yes or no as to relevance. This type of review is often called first pass review. Study of the documents identified as likely relevant to determine which must be withheld, logged, redacted, and/or labeled to protect a client’s confidential information, such as privileged communications. The subsequent reviews can also include specific issue tagging work unrelated to confidentiality concerns. Documents not identified as relevant are not included in these further reviews, but may be subject to sampling for quality assurance purposes. 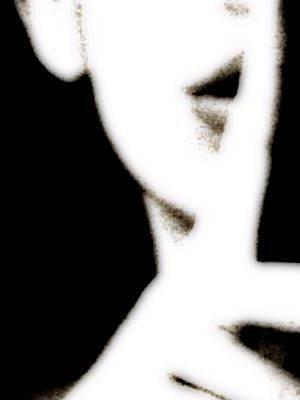 The second reviews for client confidentiality purposes can be very problematic, expensive, and risk-filled. For instance in Tampa Bay Water v. HDR Engineering, Inc., a large construction case involving millions of documents reviewed for possible production, both sides inadvertently produced thousands of privileged documents to each other. They did so despite expenditures of tens of millions of dollars for traditional attorney review of each document before production. My analysis and experiments with cost controls since 2006 have focused on both the cost of the initial relevancy review, and the cost of the final protection reviews. Great progress has been made in the last several years in lowering the cost of first-pass relevancy reviews, especially when using artificial intelligence (“AI”) enhanced software. Improvements have also been made in the second review costs, but not nearly as dramatic. Although some advocate for the elimination of second pass review to save expenses, and reliance on confidentiality and clawback agreements only for protection of confidential client documents, most litigants today are unwilling to take the risks involved. At the present time, in most cases, virtually no corporate clients are willing to dispense with final manual review of documents selected for production and rely solely on automated software for protections. The likelihood of error is simply still too high for this to be an acceptable risk in most cases for most clients. The damage caused by disclosure of some privileged communications cannot be fully repaired by clawback agreements. As I explained in my series Secrets of Search, Parts One, Two and Three, the latest AI enhanced software is far better than keyword search, but not yet good enough to allow for a fully automated approach to protection review. 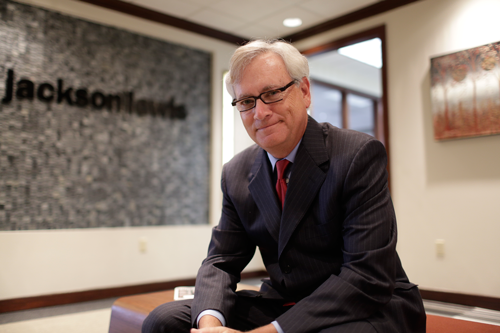 Based on my informal surveys and discussions with attorneys around the country, I have found that confidentiality reviews are only omitted in certain non-litigation circumstances, such as when making corporate merger related productions to the government, or in cases where the data under review is very unlikely to contain confidential information, such as old data of an acquired company. Also, I have seen it done in bankruptcy cases, or by litigants in any type of case who otherwise simply could not afford to respond properly to discovery requests. Although AI enhanced review is not good enough, yet, to rely on exclusively for protection review, it is certainly up to the task of first pass relevancy review. Attorneys should also use AI enhanced search to speed up the second pass manual review for protections. Of course, it is the litigant’s data and their confidential information, so if a litigant (or third party responding to a subpoena), really does not care about disclosure of confidential information in any particular data set, and is not required by law to protect the confidential information, and if they want to rely on claw back orders and confidentiality agreements alone, then that is their right. They may instruct their attorneys to skip this step for cost saving purposes. If you are an attorney receiving such an instruction, I recommend that you confirm that instruction in writing. You should also provide a full, detailed, written disclosure of the risks involved. Make sure the instruction is based on the client’s full understanding that once a bell has been rung, it cannot be un-rung, and that, for instance, waiver of once privileged attorney-client communications may open the door to waiver of others. After two years of analysis of the review cost problem I came up with an idea in 2008 that looked promising. It is simple in concept, which is one of its strengths (although its implementation can sometimes be complex). I have since tested and refined this method in two law firms with multiple types of cases and investigations. I have also spoken about this approach with many other attorneys, judges, and law professors, and taught this method at multiple CLE events around the country. I call it Bottom Line Driven Proportional Review and Production. A more technical description for it, the one I used in a legal methods patent application, is: System and Method for Establishing, Managing, and Controlling the Time, Cost, and Quality of Information Retrieval and Production in Electronic Discovery. But I usually just call it Bottom Line Driven Review. The bottom line in e-discovery production is what it costs. Believe me fellow lawyers, clients care about that …. a lot! In Bottom Line Driven Proportional Review everything starts with the bottom line. What is the production going to cost? Despite what some lawyers and vendors may tell you, it is not an impossible question to answer. It takes an experienced lawyer’s skill to answer, but after a while, you can get quite good at such estimation. It is basically a matter of man-hours estimation. With my method it becomes a reliable art that you can count on. It may never be exact, but the ranges can usually be predicted, subject of course to the target changing after the estimate is given. If the complaint is amended, or different evidence becomes relevant, then a change order may be required for the new specifications. Price estimation is second nature to me, and an obvious thing to do before you begin work on any big project. I think that is primarily because I worked as a construction estimator out of college to save up money for law school back in the seventies. Estimating legal review costs is basically the same thing, projecting materials and labor costs. 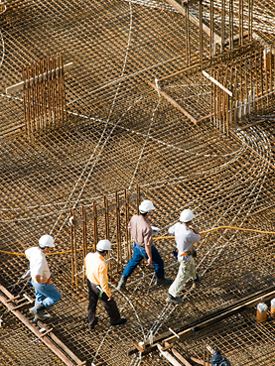 In construction you come up with prices per square foot. In e-discovery you estimate prices per file, as I will explain in detail in this essay. My new strategy and methodology is based on the bottom line. It is based on projected review costs, defensible culling, and best practices of AI enhanced review. Under this method the producing party determines the number of documents to be subjected to costly reviews by calculating backwards from the bottom line of what they are willing, or required, to pay for the production. The process begins by the producing party calculating the maximum amount of money appropriate to spend on the production. A budget. This requires not only an understanding of the production requests, but also a careful evaluation of the value and merits of the case. This is where the all important proportionality element comes in. The amount selected for the budget should be proportional to the monies and issues in the case. Any more than that is unduly burdensome and prohibited under Rule 26(b)(2)(C), Federal Rules of Civil Procedure and other rules that underlie what is now generally known as the Proportionality Principle. The budget becomes the bottom line that drives the review and keeps the costs proportional. The producing party seeks to keep the total costs within that budget. The budget should either be by agreement of the parties, or at least without objection, or by court order. The failure to estimate and project future costs, and to plan and limit reviews so that they stay within budget, accounts for much of today’s out of control e-discovery costs. Once you spend the money, it is very hard to have costs shifted to the requesting party. But if you raise objections and argue proportionality before the spend, then you will have a fair chance to constrain your expenses within a reasonable budget. Under the Bottom Line Driven proportional approach, after analysis of the case merits, and determination of the maximum expense for production proportional to a case, the responding party makes a good faith estimate of the likely maximum number of documents that can be reviewed within that budget. The document count represents the number of documents that can be reviewed for final decisions of relevance, confidentiality, privilege and other issues, and still remain within budget. The review costs you estimate must be based on best practices and be accurate (no puffing). Following best practices the producing party then uses advanced search techniques and quality controls to find the documents in a first pass review that are most likely to be relevant and stay within the number of documents allowed by the budget. Since predictive coding type AI enhanced software ranks all documents according to probable probative value, it the perfect tool to facilitate bottom line driven review. The ranking feature makes it far easier to focus on the most important documents and stay within budget. Good predictive coding software today evaluates the strength of the relevance and irrelevance of every document in the data set analyzed. That is one reason I was especially pleased when AI type software with reliable ranking abilities first came into the market in 2011 and have since started specializing in the best methods for use of this software. Bottom line driven review was, and still can be, done without predictive coding ranking (I did so for years), but it is harder to be accurate without computerized ranking. 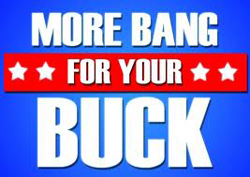 Using best methods and AI search with relevancy ranking allows you to get the most bang for your buck, the core truth. This in turn helps persuade the requesting party (or the court, should agreement not be reached), to go along with your proposed budget constraints. Unfortunately, the use of AI software comes with its own transactional costs, which means it cannot be economically used in cases that are too “small.” Typically this means cases involving less than a $25,000 budget for document review. For these smaller cases the same bottom line approach should still be used, and it can still work fairly well, even if you do not have the benefit of expensive AI software and its ranking properties. A few examples should help clarify how this works. If you set a proportional document review cost for a case of $25,000.00, and estimate based on experience, sampling and other hard facts that it will cost you about $1.00 per file for both the automated first-pass and subsequent manual review of documents, then you can review no more than 25,000 documents and stay within budget. It is basically that simple. No higher math is required. In law this is the perennial Goldilocks question. How much is too much? Too little? Just right? How much is an appropriate spend for document production? The issue is old. I have personally been dealing with this problem for over thirty-three years. What is new is applying that legal analysis to a modern-day high-volume electronic document search and review plan. 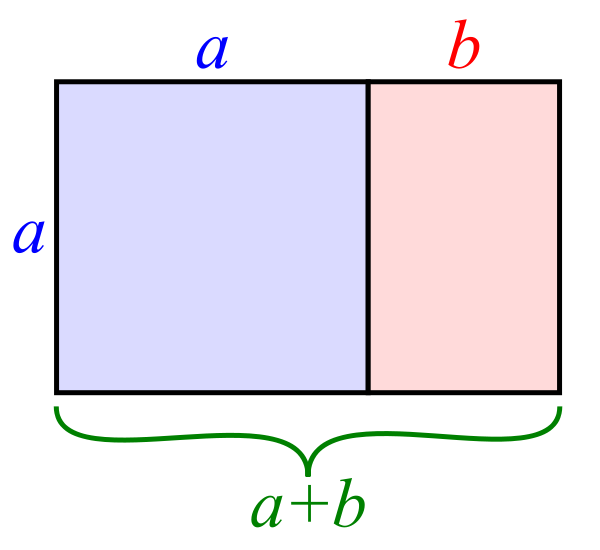 Unfortunately, unlike art and math, there is no accepted golden ratio in the law, so it has to be recalculated and reargued for each case. Estimation for bottom line driven review is essentially a method for marshaling evidence to support an undue burden argument under Rule 26(b)(2)(C). It is basically the same thing we have been doing to support motions for protective orders in the paper production world for over sixty years. The only difference is that now the facts are technological, the numbers and varieties of documents are enormous, sometimes astronomical, and the methods of review are very complex and not yet standardized. The calculation of projected cost per file to review can be quite complicated, and is frequently misunderstood, or is not based on best practices. Still, in essence this cost projection is fairly simple. You basically project how long it will take to do the review and the total cost of the time. To be more accurate you can also include the materials costs, for example, software usage fees, processing costs, and other non-legal vendor charges. Thus, for example, think of our relatively small project to review 25,000 documents. Your first step in the review is to identify the relevant documents in these 25,000, or put another way, to weed-out the irrelevant documents. In most types of lawsuits, less than five percent of a custodian’s emails will be relevant. Sometimes it is less than one percent, or a tenth of a percent. The primary task is to quickly and efficiently identify the rare relevant needles from the large haystacks of irrelevant documents. Once the probable irrelevant documents are removed and the probable relevant documents are identified, the next Protections review stage can begin. As mentioned, documents coded relevant, and only those documents, are then re-reviewed for privilege and confidentiality, and redacted, labeled and logged as necessary. They are often also issue tagged at this stage for the later use and convenience of trial lawyers, or sometimes the issue tagging may be included in the first pass review. Mistakes in first pass relevancy review are also corrected with quality controls built into the reviewer classifications. First pass relevancy reviews were originally done by having a lawyer actually look at, meaning skim or read, each of the 25,000 documents. Using low paid contract lawyers, this kind of first-pass relevancy review typically goes at a rate of from between 50 to 100 files per hour. But by using AI enhanced review software, a skilled search expert, who must also be a subject matter expert (SME) for predictive coding to work well, can attain speeds in excess of 1,000 files per hour (or even much faster than that when larger volumes of documents are involved) for first pass review. When you are working with a volume of approximately 25,000 or more documents, as in this example, then the AI enhanced SME type of review is usually a financially viable approach. But with fewer documents than that, or a smaller budget, it may not be. The exact cut off point depends on the costs you incur with your vendor for use of the software, and the costs (and sometimes availability) to use a qualified SME to do the AI enhanced reviews. It also depends on the value of the case. For very small document productions, but ones that still involve more than a few thousand documents, the linear review of each and every document is still not the solution. Document by document review of thousands of documents by multiple reviewers is a notoriously inefficient, ineffective, and costly approach. Instead, we fall back on other methods for first pass culling that were state of the art just a few years ago before AI enhanced software became available. These easier and less expensive methods employ what I call a multimodal tested keyword approach. The vast majority of the employment law cases I deal with now involve very small productions where we use this alternative non-AI approach. The methods rely primarily on tested keyword searches. Tested keyword search is described in part by Judge Peck’s well-known wake up call opinion in Gross Construction, which provides basic advice to lawyers on the proper way to use keyword search. In essence, you do not simply guess what key words might be effective, but instead you use witness interviews and other factual research and analysis to derive various possible terms. You then test proposed keywords using both judgmental and random sampling. You also use keywords with Boolean combinations and parametric field limitations (applied to various metadata fields). Other types of search, including similarity searches, concept searches, and even some linear review of key time periods and custodians, are used to supplement the tested parametric Boolean keyword searches. This is why I call it a multimodal method. This type of search was state of the art just a few years ago. It still has the advantage of being easier to use, requiring less sophisticated/expensive software, and far less SME involvement. But, compared to AI enhanced review it is far less reliable, and when large volumes of documents are involved, far more expensive. Assuming your document review project is large enough, and you can use AI enhanced software and good SMEs, you can determine file relevancy at speeds hundred of times faster than linear review by contract lawyers, and can do so far more accurately. That is why an SME with good software can charge ten to twenty times as much as a contract lawyer and still do the first pass review at a fraction of the cost. There is a recent example of this cost-savings approach in Gabriel Techs. 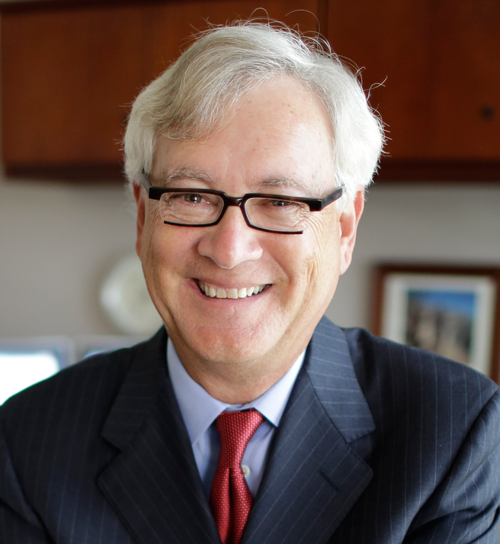 Corp. v. Qualcomm, Inc., a 2013 patent case in District Court in California that considered the reasonability of a fee award to a prevailing party. A fee of $2,829,349.10 was awarded for the work of a team of SMEs to review one million documents for possible relevance. Although I cannot discuss the actual cases I have handled, in 2012 I did a public experiment using what I call a multimodal AI enhanced type of review of 699,082 ENRON documents. I was looking for evidence in this public ENRON dataset concerning involuntary employee terminations, a fairly simple relevancy determination. I completed the first pass review at an average speed of 13,444 files per hour. Speeds such as this are common in the type of employment law issues I have been dealing with in the past couple of years, but similar speeds are attainable in other types of cases too. For instance, I recently completed another more complex first-pass review of over a million and a half documents at an average speed of 35,831 files per hour. I did this review myself, since I happened to be the only SME available for this project involving non-employment law legal issues. There were significant time pressures for this review and I completed the first-pass review of over a million and a half documents in only two weeks. Back to the small case example of only 25,000 documents, let us assume a modest AI enhanced first-pass review speed of 2,000 files per hour. This means an SME could complete the review in 12.5 hours. (Typically SME’s using AI enhanced software review far more than 25,000 documents and so are able to attain faster speeds. The math and costs savings still work if the cost of using the predictive coding software and other transaction costs are not too high.) It would probably take the SME about 2.5 hours to master the particular factual issues in the case, so let us assume a total time of 15 hours, and a review rate for this SME of $500.00 per hour (in a small case like this SMEs at relatively low rates like this are common, whereas in larger cases the SME rates can be much higher, but the speed of review and savings realized can also be much larger.) That means an expense for first pass review (excluding software charges) of $7,500.00, which is still half the cost of traditional manual review. Under a traditional contract lawyer review, where we assume a very fast speed (for them) of 75 files per hour (producing a total of 333.33 hours of review time), and a very low unmotivated lawyer rate of $50.00 per hour, you have a projected fee of $16,666.50. Even though the $500 per hour rate of the SME is 10-times higher than the contract lawyers, since the SME is 26.67 times faster, the SME AI enhanced review still costs half as much. That is because it would take the contract lawyers 333.33 hours to complete the project, and, this is important, they would necessarily do so with a far lower accuracy rate. The contract lawyers working without the assistance of AI augmentation are likely to find far fewer relevant documents than the automated SME approach. This makes clear the power and importance of SMEs driving predictive coding review, and why, along with their current scarcity, attorneys with both subject matter expertise and advanced search skills are now in such demand. In our hypothetical after the first pass review of 25,000 documents the slower protection review begins. Now the highly skilled SMEs are no longer required. Lower-paid contract lawyers, or associates and paralegals, can do the review of the documents the SMEs have determined to be relevant. 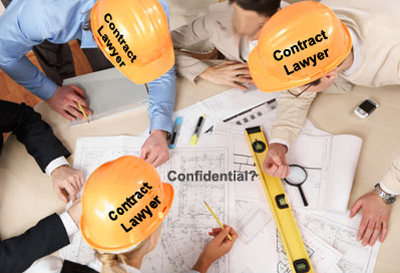 (There is still, of course, expert attorney supervision required of the contract reviewers, associates and paralegals.) Let us assume that the first pass review found that 2,500 of the 25,000 documents were relevant. (The ten percent relevance ratio, aka “prevalence rate,” is a relatively high rate.) This means that only 2,500 documents are subject to second pass review for confidentiality. Let us assume this work goes at an average rate of 20 files per hour. (Remember this review includes incidental related activities such as preparing a privilege log.) The 2,500 documents could be reviewed for protections in 125 hours at a cost of $6,250.00. So our base minimum review cost for both passes is $13,750.00. I say base minimum because you have additional expenses beyond just contract reviewer time, or junior associate and paralegal time, including the expense of partner, senior associate, and project manager time to supervise other attorneys and paralegals, perform quality control reviews, etc., plus software and hosting costs. Let us assume that is another $7,000.00 cost here, for a total expense of $20,750.00. Congratulations! You came in under your $25,000.00 budget. You completed your review of 25,000 documents at a cost of $0.83 per document instead of the $1.00 per document you had estimated. For smaller projects of less than 25,000 documents, where AI enhanced review would probably not be cost effective, the per document estimate would be higher. Still, a multimodal tested keyword approach can achieve substantial savings and better quality than a brute force linear “review everything” approach. That $0.83 per document in this small case hypothetical is pretty good. But in larger projects, where you are talking about millions of documents to review, and more realistic prevalence rates, where frequently less than five percent of the total documents are relevant and thus need to be second reviewed, the savings can be even greater. With larger document volumes the review speeds are much higher, and per document review costs are lower, sometimes, much lower. You could estimate all of these costs in advance by having a bank of experience to draw upon, knowing the likely costs per file range. But remember, even in the world of repeat litigation, like employment law claims, all projects are different. All document sets are different. You have to, as I like to say, get your hands dirty in the digital mud. You have to know your ESI collection before you make an estimate. Even in just one type of electronic document, the one most common in e-discovery today, email and attachments, the variances in email collections can be tremendous. With those variables come different review speeds and confidentiality concerns. The review speeds, and thus the review costs, depend on the density of the documents themselves and difficulty of the document classifications. 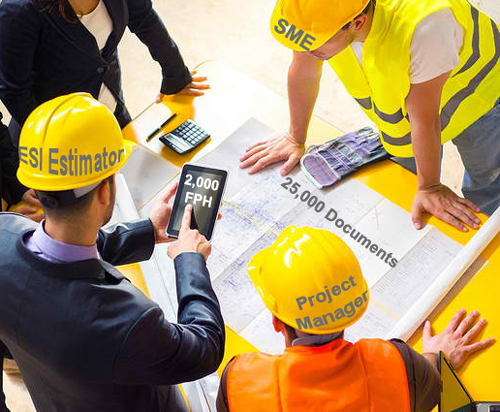 That is where the art of estimation comes in and depends on your understanding of the project. 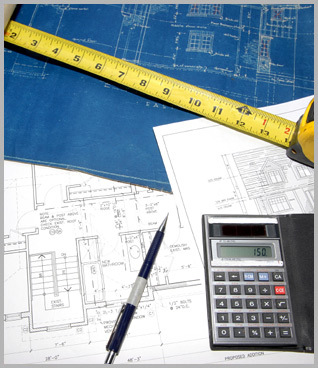 You have to understand the blueprints and specs of a project before you can make a valid estimation. This is especially true of the SMEs’ first-pass work. You need to do some sampling to see what review rates apply. How long will it take these particular SMEs to do the tasks assigned to them in this case with this data. Sampling is the only reliable way to do that, especially when it comes to the all important prevalence calculations. As a general rule of thumb I have found that the higher the prevalence, the lower the review speed and thus higher the cost. Random sampling to determine prevalence is not only a routine part of my normal eight-step AI-enhanced review process to ensure quality control, but also an important step to give reliable cost estimates. There are essentially ten tasks that lawyers perform in e-discovery, three of which pertain to document review. They are described in the Electronic Discovery Best Practices found at EDBP.com. The three types of services pertaining to document review can be found at: http://www.edbp.com/search-review/. The functions performed by electronic discovery vendors, which includes non-legal services such as data processing, are outlined in the Electronic Discovery Reference Model found at EDRM.net. It is included in the EDBP as step seven and described as Computer Assisted Review (CAR) found at: http://www.edbp.com/search-review/computer-assisted-review/. It is included in the EDBP as step eight and described as Protections found at: http://www.edbp.com/search-review/. Tampa Bay Water v. HDR Engineering, Inc. Case No. 8:08-CV-2446-T-27TBM. (M.D. Fl. November 2, 2012) (also found at 2012 U.S. Dist. LEXIS 157631 and 2012 WL 5387830). The plaintiff alone inadvertently produced 23,000 privileged documents. The prevailing defendant in this case was awarded over twenty million dollars in fees and costs. Of this sum $3,100,000 was awarded as a cost for e-discovery vendor processing and hosting of 2.7 million documents for review. Another $4,590,000 ($1.70 per file) is estimated to have been spent by one defendant in attorney fees to review the documents. See Losey, R., $3.1 Million e-Discovery Vendor Fee Was Reasonable in a $30 Million Case (e-Discovery Team, Aug. 4, 2013) found at https://e-discoveryteam.com/2013/08/04/3-1-million-e-discovery-vendor-fee-was-reasonable-in-a-30-million-case/#comment-60139. 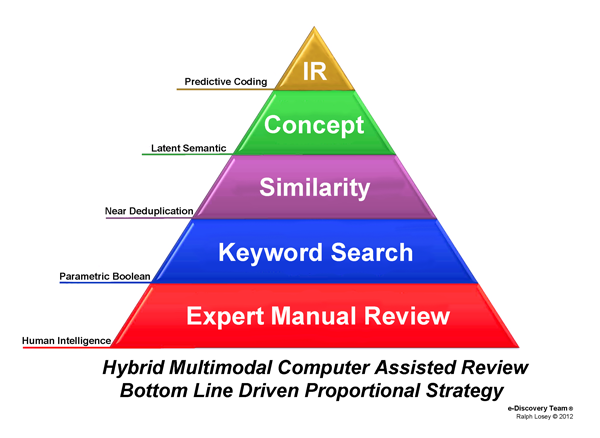 For a description of what I mean by AI enhanced search, which is also commonly called Predictive Coding, Technology Assisted Review (TAR), or Computer Assisted Review (CAR) see my page describing CAR found at https://e-discoveryteam.com/car/. Also see the descriptions for step seven in the EDBP at http://www.edbp.com/search-review/. I am going to explain the idea here with enough detail for attorneys experienced in e-discovery to be able to try it out. I urge you to do so. 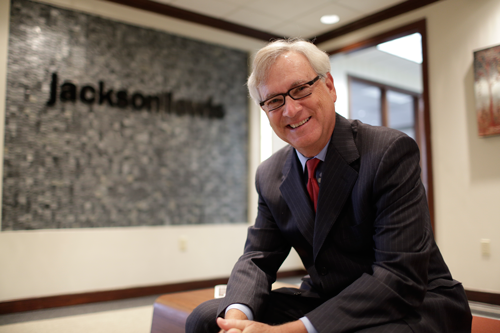 I have been working and training the attorneys in my current law firm, Jackson Lewis, in this for years. 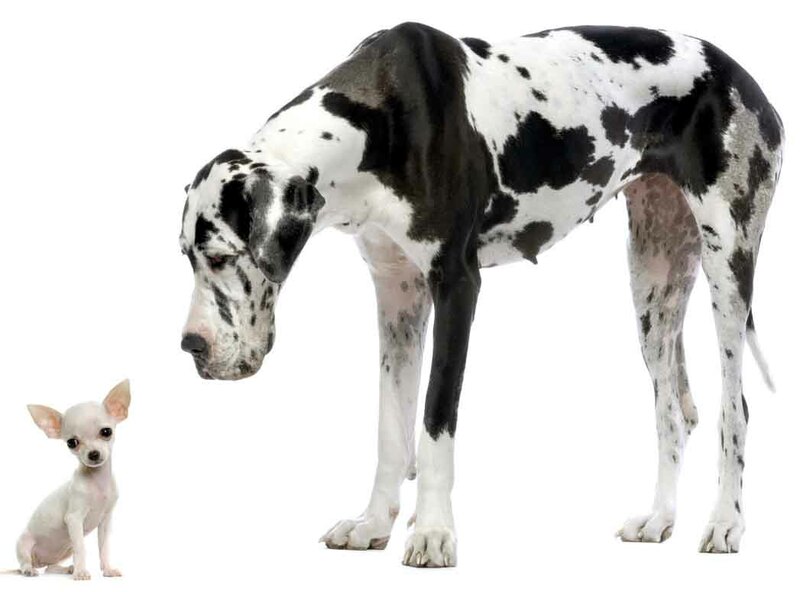 We know that it works in all types of employment law cases, federal and state, large and small, especially when coupled with the doctrine of proportionality (also explained in this essay). 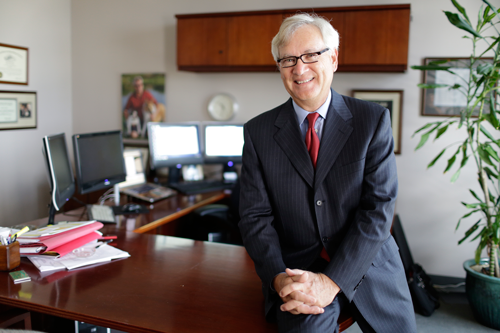 In my prior law firm, Akerman Senterfitt, the method was tested and refined in multiple types of commercial litigation. Time and conflict checks permitting, I can consult and assist attorneys outside of my firm on Bottom Line Driven Review, especially when it involves the use of artificial intelligence enhanced software (often called predictive coding) to search for evidence in big data. That is my current area of special interest and Bottom Line Driven Review is particularly effective in large cases. See Rule 1, Rule 26(b)(2)(C), Rule 26(b)(2)(B), and Rule 26(g), Federal Rules of Civil Procedure; Commentary on Proportionality in Electronic Discovery, 11 SEDONA CONF. J. 289 (2010); Carroll, Proportionality in Discovery: A Cautionary Tale, 32 Campbell L. Rev. 455, 460 (2010); Losey, R. Good, Better, Best: a Tale of Three Proportionality Cases – Part Two found at https://e-discoveryteam.com/2012/04/15/good-better-best-a-tale-of-three-proportionality-cases-part-two/. Also see: Tamburo v. Dworkin, 2010 WL 4867346 (N.D. Ill. Nov. 17, 2010); Rimkus Consulting Group v. Cammarata, 688 F.Supp. 2d 598, 613 (S.D. Tx. 2010); Apple v.Samsung, 2013 WL 442365412 (N.D.Cal. August 14, 2013); Wood v. Capital One Services, LLC, No. 5:09-CV-1445 (NPM/DEP), 2011 WL 2154279, at *1-3, *7 (N.D.N.Y, 2011); Daugherty v. Murphy, No. 1:06-cv-0878-SEB-DML, 2010 WL 4877720, at *5 (S.D. Ind., 2010); Willnerd v. Sybase, 2010 U.S. Dist. LEXIS 121658 (SD Id., 2010); I-Med Pharma Inc. v. Biomatrix, 2011 WL 6140658 (D.N.J. Dec. 9, 2011); U.S. ex rel McBride v. Halliburton Co.,, 272 F.R.D. 235 (D.D.C. 2011); DCG Sys., Inc. v. Checkpoint Techs, LLC, 2011 WL 5244356 (N.D. Cal. Nov. 2, 2011). Losey, R., Relevancy Ranking is the Key Feature of Predictive Coding Software found at https://e-discoveryteam.com/2013/08/25/relevancy-ranking-is-the-key-feature-of-predictive-coding-software/. Rule One of the Federal Rules of Civil Procedure requires all other rules to be interpreted to accomplish the just, speedy and inexpensive resolution of all cases. 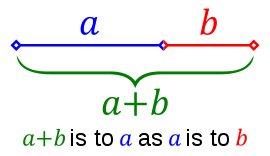 If the golden ratio were accepted in law as an ideal proportionality, the number is 1.61803399, aka Phi. That would mean 38% is the perfect proportion. I have argued that when applied to litigation that means the total cost of litigation should never exceed 38% of the amount at issue. In turn, the total cost of discovery should not exceed 38% of the total litigation cost, and the cost of document production should not exceed 38% of the total costs of discovery (as opposed to our current 73% reality). 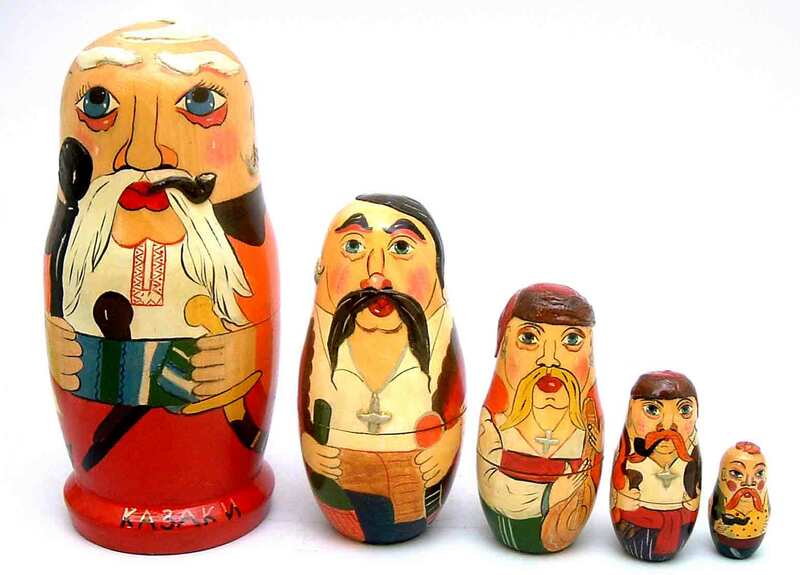 (It’s like Russian nesting dolls that get proportionally smaller.) Thus for a $1 million case you should not spend more than $54,872 for document productions (1,000,000 – 380,000 – 144,400 – 54,872). See Losey, R., Beware of the ESI-discovery-tail wagging the poor old merits-of-the-dispute dog. I have not yet made this math and art golden ratio argument in court, but, who knows, it just might work with the right judge. To me the proportions seem reasonable. For a full picture of total e-discovery spend you should include other e-discovery costs unrelated to review, such as vendor and attorney costs related to preservation and collection. Recall the Rand survey showed found these non-review related expenses to average about 27% of the total e-discovery costs. Note it probably started as 100,000 documents collected for preservation and possible review, but you bulk-culled it down to 40,000 documents for review (Culling is step six in the EDBP). Bulk culling is performed by making such legal decisions as custodian ranking (for instance, a decision to review only the top five most important custodians, even though the email of ten custodians was collected), date ranges, and file types (for instance, exclude all music and photo files types). See http://www.edbp.com/search-review/bulk-culling/. For more on how the predictive coding review process works, including the importance of qualified SMEs to train the machine, a process called active machine learning, see my introduction to the subject at https://e-discoveryteam.com/car/ and http://www.edbp.com/search-review/computer-assisted-review/ and other articles cited therein. William A. 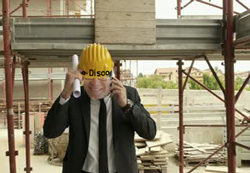 Gross Construction Associates, Inc. v. American Manufacturers Mutual Insurance Co., 256 F.R.D. 134, 136 (S.D.N.Y. 2009). Also see: Losey, R. Child’s Game of “Go Fish” is a Poor Model for e-Discovery Search found at https://e-discoveryteam.com/2009/10/04/childs-game-of-go-fish-is-a-poor-model-for-e-discovery-search/. Gabriel Techs. Corp. v. Qualcomm, Inc., No. 08CV1992 AJB (MDD), 2013 WL 410103 (S.D. Cal. Feb. 1, 2013) (keyword bulk culled 12,000,000 documents down to 1,000,000 (not a best practice) and then used predictive coding type rule based algorithms (not AI) to determine relevancy of the remaining 1,000,000 relevant). To back up the likely far better accuracy claim for an SME driving a CAR, please see the following scientific studies: Grossman & Cormack, Technology-Assisted Review in E-Discovery Can Be More Effective and More Efficient Than Exhaustive Manual Review, Rich. J.L. & Tech., Spring 2011; Grossman & Cormack, Inconsistent Responsiveness Determination; Roitblat, Kershaw, and Oot, Document categorization in legal electronic discovery: computer classification vs. manual review, Journal of the American Society for Information Science and Technology, 61(1):70–80, 2010; Voorhees,Variations in relevance judgments and the measurement of retrieval effectiveness, 36:5 Information Processing & Management 697, 701 (2000); Losey, R., A Modest Contribution to the Science of Search: Report and Analysis of Inconsistent Classifications in Two Predictive Coding Reviews of 699,082 Enron Documents, found in two parts at https://e-discoveryteam.com/2013/06/11/a-modest-contribution-to-the-science-of-search-report-and-analysis-of-inconsistent-classifications-in-two-predictive-coding-reviews-of-699082-enron-documents/, and https://e-discoveryteam.com/2013/06/17/comparative-efficacy-of-two-predictive-coding-reviews-of-699082-enron-documents/. 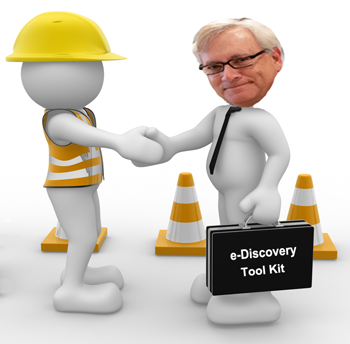 See David Cowen, Job Market Heating Up for e-Discovery Technologists, Managers, and Attorneys; Losey, R., Reinventing the Wheel: My Discovery of Scientific Support for “Hybrid Multimodal” Search found at https://e-discoveryteam.com/2013/04/21/reinventing-the-wheel-my-discovery-of-scientific-support-for-hybrid-multimodal-search/. This entry was posted on Tuesday, October 1st, 2013 at 4:47 pm and is filed under Evidence, Lawyers Duties, Review, Search, Technology. You can follow any responses to this entry through the RSS 2.0 feed. Both comments and pings are currently closed.